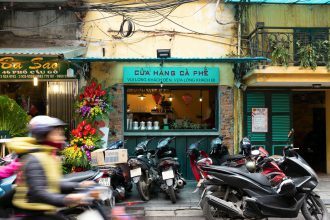 This instalment is part three of a 4,000-kilometre road trip. Part one covered the ride along the coast from Sydney to Tilba and then over the Snowy Mountains to Ballarat. 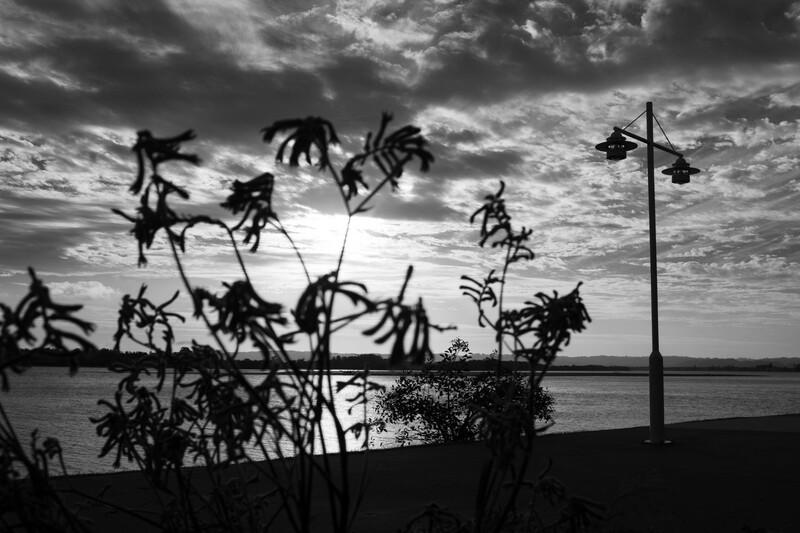 Part two covered the 1,607 kilometres north via an inland route to Brunswick Heads. Part three is the final leg of this journey; the 1,096 kilometres from Ballina to Sydney. 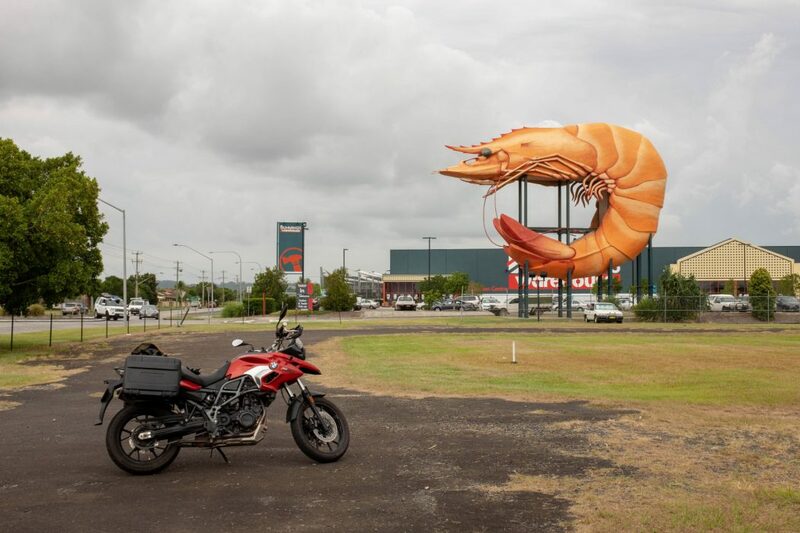 After thoroughly enjoying my stay at Brunswick Heads, I headed south to Ballina; home of the big prawn. Stopping for lunch at The Belle General at Shelly Beach, a hipster cafe serving organic food with a little too much attitude, Ballina was to be my rest stop for the next two days. These days were filled with early morning walks along the river, bodyboarding in the afternoon and good times with friends who have made the town their home. 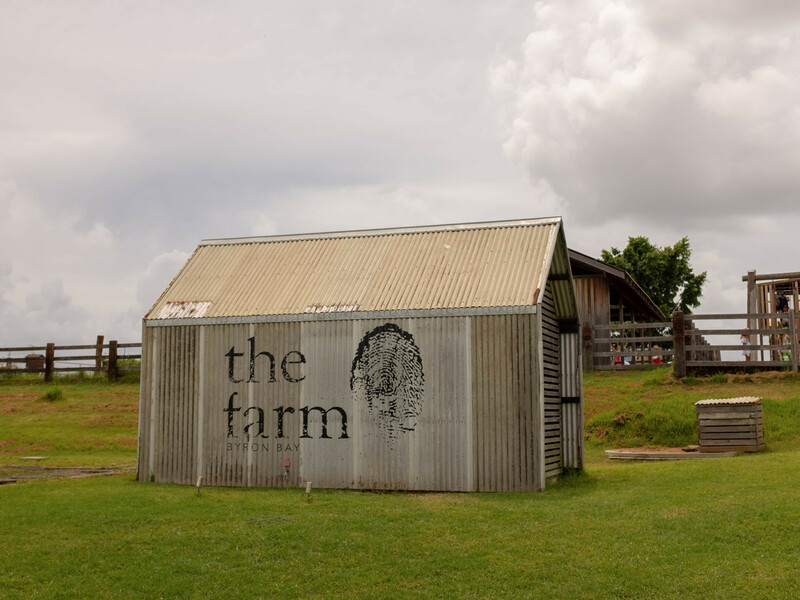 The next day we had lunch at The Farm, a wildly successful venue just off the freeway in Byron Bay. You cannot believe how many people were there, walking around the farm, admiring the animals and patiently (or not so patiently) waiting for a table. The food is by Sydney’s Three Blue Ducks and features farm fresh vegetables, local seafood and meats. The best meal I ate on the entire trip was here; a mild curry with mussels, rice, vegetables and herbs. It was tasty, light and ideal for the tropical climate. After two pleasant days in Ballina, I headed back to Brunswick Heads for a quiet morning reading Zen And The Art Of Motorcycle Maintenance by the river. An early lunch at Footbridge set me up for a meandering journey back to Sydney, riding every winding road I could find on the map. Side note. Why is it that when we turn homewards, even if there are many days of adventures ahead, we feel impatient to arrive? 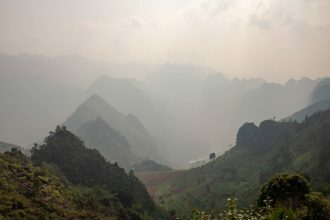 As outlined previously, one of the characteristics that separate motorcycle riding from driving for most is that the act of riding is the adventure; not arrival at the destination. 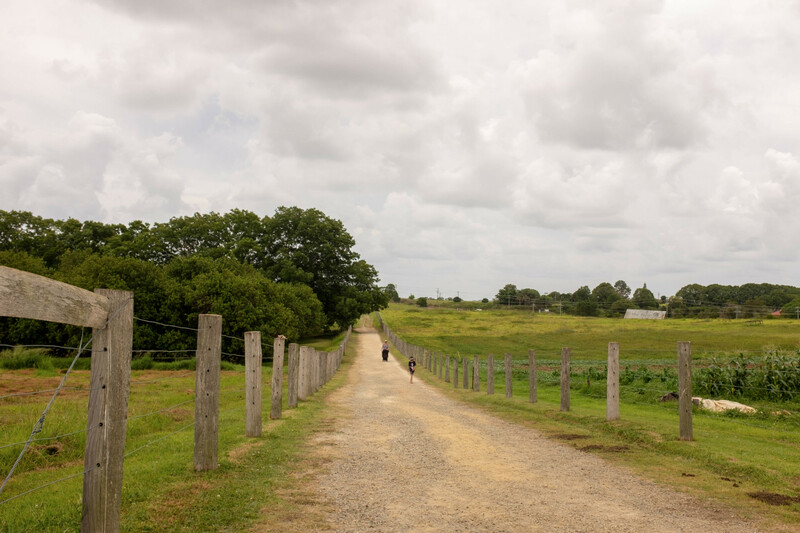 However, for some reason, I felt dissatisfied with my choice to take the slower inland road, noting at times that I could have already been at the targeted town—in this case, Grafton—as I wound my way inland. Even knowing that I would be stuck on the freeway with 100 kilometres of roadworks was initially not enough to relieve my mood. Odd. 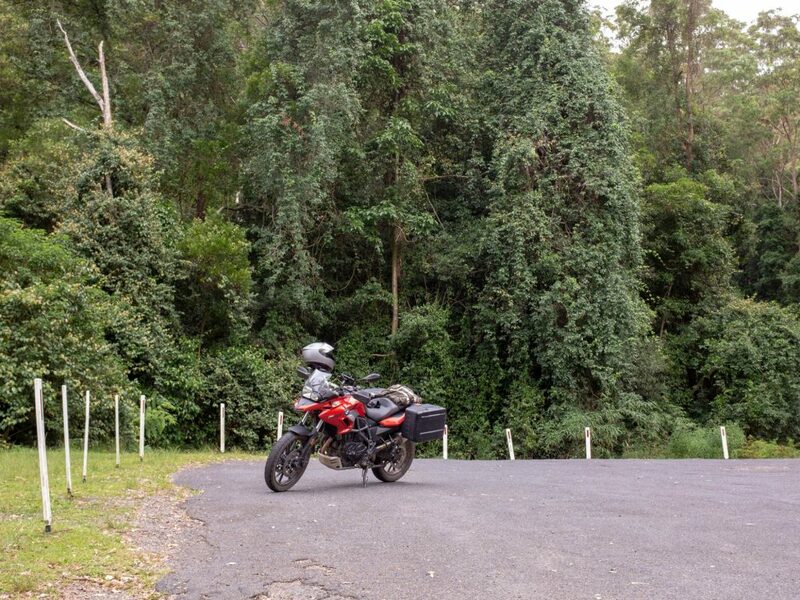 Luckily this feeling passed, and I’m was thrilled with my choice of route, riding through the green hills and forested areas including the historic township of Bangalow. Light rain fell throughout the afternoon and while not heavy enough to put on waterproofs, it was enough to make the roads slippery. 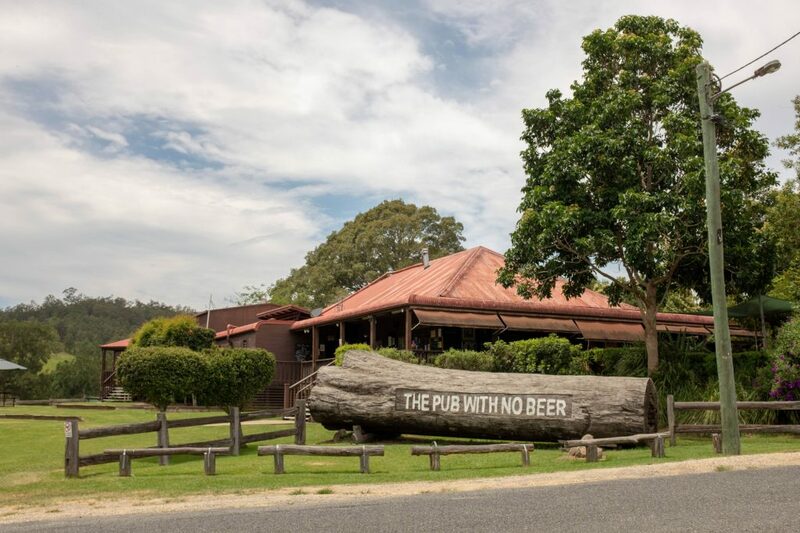 In Grafton, I stopped for a bite, taking the opportunity to plot out a superb route via Dorrigo to Bellingen where I stayed for the night. 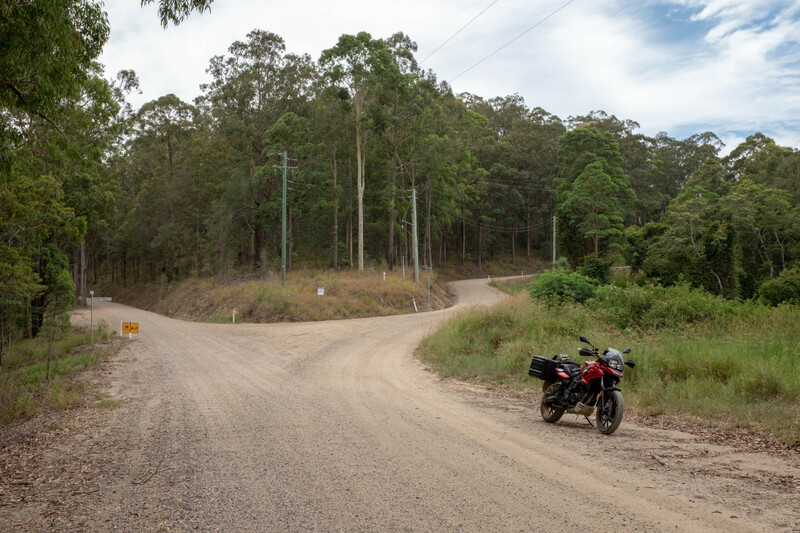 This is the same excellent winding road from Armadale to Grafton that I rode on the way up to Brunswick Heads, only with a left turn at Dorrigo and then onto Bellingen. This short stretch of mountain road was one of the roads I was keenest to ride, and it did not disappoint. Smooth tarmac, sharp turns and little traffic. 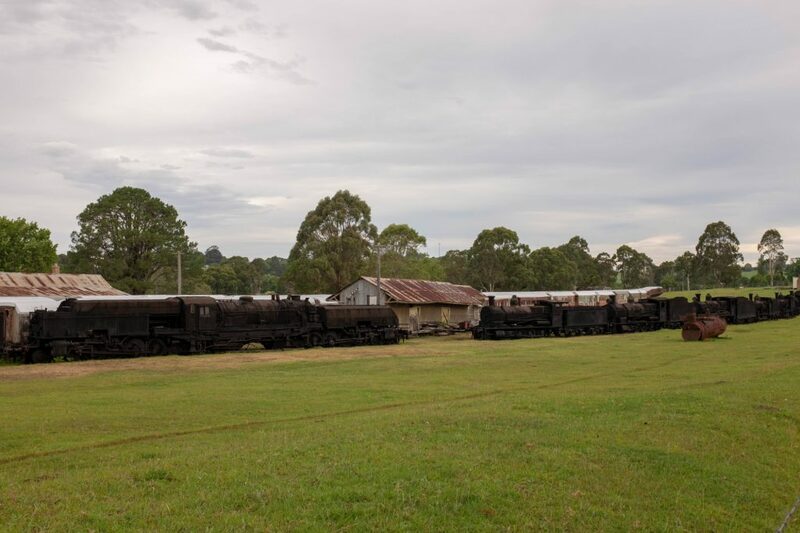 Outside Bellingen, there is an intriguing train yard with an assortment of decommissioned trains, many of them appear to have been blackened; burnt? I’m glad I stopped as there is something majestic about all this old machinery, set against the contrasting green of the hills. Staying at the Bellingen Valley Lodge, this is a smartish motel with a restaurant attached. Positioned at the top of a hill, dining outside on the patio on this summers’ evening is very pleasant indeed. The menu looked promising, ordering an entree of roasted beetroot and main of pan-fried salmon. Unfortunately, it was nothing special about the cooking, and next time I would eat in the town. In any case, the service was friendly, and it was a good place to rest my head before another day on the road. Departing Bellingen,—a very charming town, by the way—, I road to Nambucca Heads, then Macksville to pick up an inland road to Taylors Arm; a town made famous by Slim Dusty as the pub with no beer. Fifty-odd kilometres into the ride and the windy roads turn to loose gravel. I find gravel roads like these to be a little scary due to my inexperience as an off-road rider, my heavy load and street tyres; although mostly it’s my off-road inexperience. The next fifty kilometres required an adjustment to riding style and a significant decrease in speed. 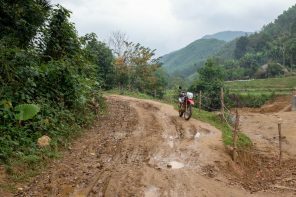 The roads were dusty with plenty of gravel in the corners, often steep in sections. I made it through by riding defensively. While not glamorous, I made it back to tarmac, appreciating the comfort that comes from good traction. Stopping at Kempsey for yet another burger, I’m was really looking forward to a return to healthier home cooking. Back on the bike, the 35-degree heat and high humidity were making me irritable. 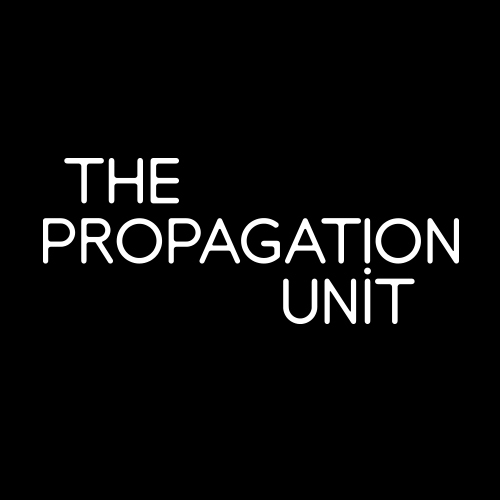 For the next hour or so, I found myself in a near constant state of irritation placing an unreasonable amount of blame on the surrounding area. Something had to change. I decided to deviate from my planned route and take a swim at Port Macquarie an hour or so down the road. This was a smart move as a dip in the ocean and cold-pressed juice revived my enthusiasm for the last leg of the day; the Oxley Highway to Walcha. 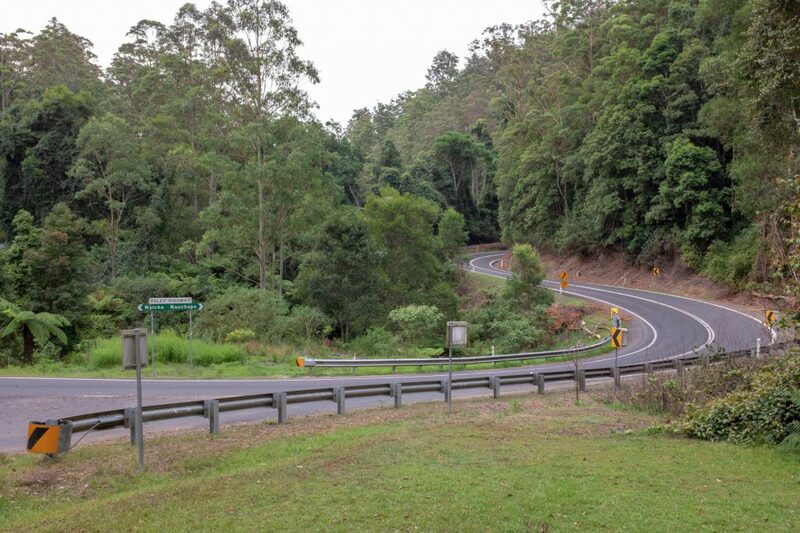 The Oxley Highway is well known to motorcycle riders for its 160km of smooth tarmac and winding mountain roads. 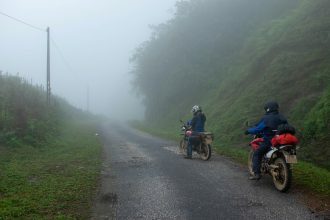 Passing through the Cottan-Bimbang National Park, the way is pure riding pleasure. The mild climate and tall trees make this one of the best riding experiences of this trip, and there have been some great ones. I feel that I could go on and on about how good this road is, however, it will not do it justice. If you’re interested in riding, get onto it and make the most of this superb road. 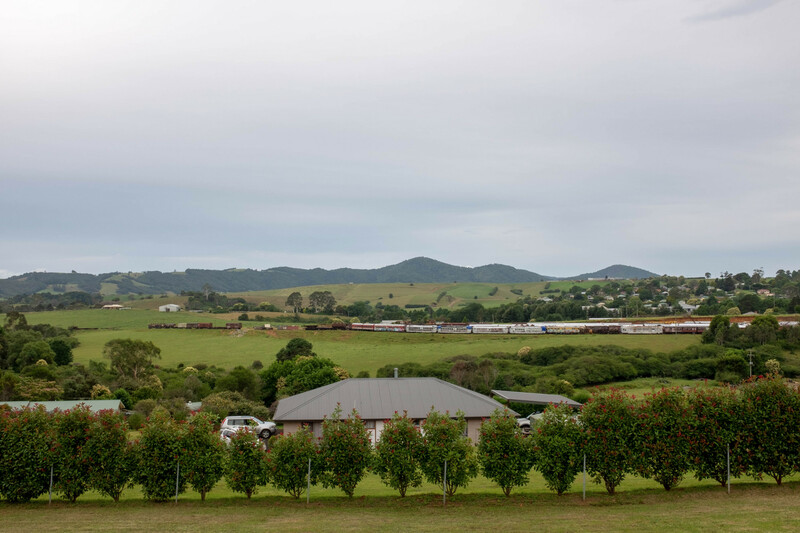 That night I stayed in the accommodation above the Royal Cafe in Walcha. 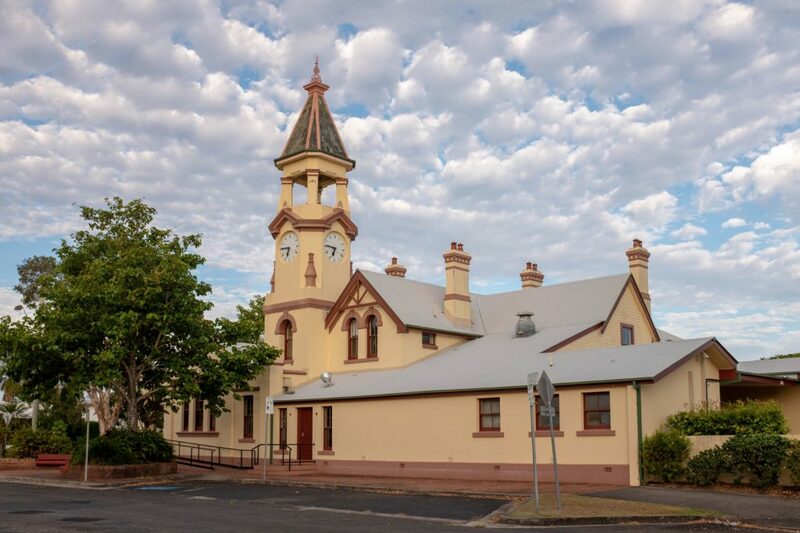 This is a charming, old-style Australian country hotel, on the ground floor instead of a pub. There is an extensive selection of motorcycle memorabilia, and the place is so relaxed, I was let in by one of the regulars. Be warned though, Walcha is a small town that closes early. After 7 pm, your options narrow to the Chinese restaurant in the pub opposite which was friendly and quite tasty. Over dinner, I began thinking of rising early and riding all the way home. The trip has been a good one, although, after three weeks on the road, I have started to miss my home with all its familiar comforts. 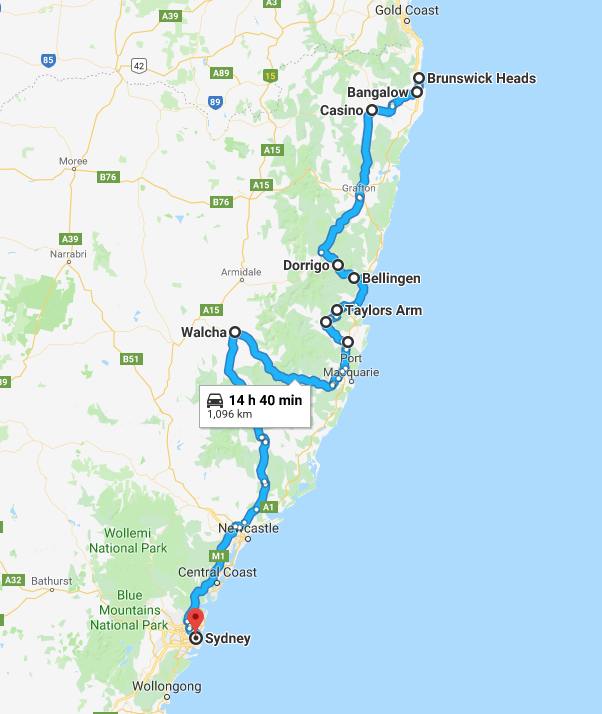 I decided to ride the Thunderbolts Way to Gloucester for breakfast, then The Bucketts Way to Newcastle before taking the Pacific Highway home. 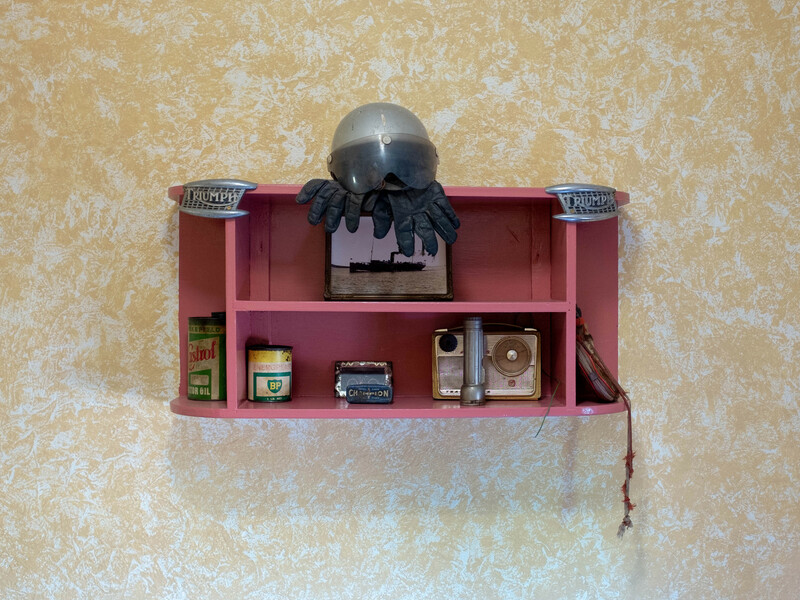 Waking in the hotel, I find myself once again charmed by the elegant dilapidation and passion for old motorcycles. Not feeling particularly hungry, I eat a couple of bananas from the IGA and head south along the Thunderbolts Way. 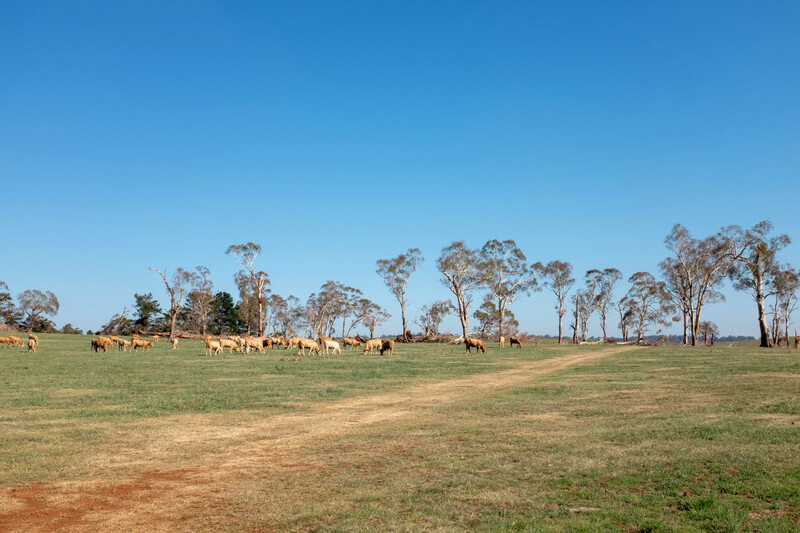 While not as spectacular as the Oxley Highway, this road offers 150 kilometres of winding roads through agricultural lands, forests and small country towns. The roads are rough in places, undergoing a surface upgrade which should further increase the enjoyment in years to come. Although I am keen to get home, I am once again enjoying myself. Three weeks in the road is a great experience and one I’m fortunate to have been able to do. The BMW F700GS motorcycle has been a wonderful companion throughout the journey proving riding thrills mixed with German engineering and practicality. At Gloucester, I stop for a hearty breakfast Perenti Cafe and speak to other bikers who know the area. This is one of the inclusive aspects of motorcycle riding. You meet so many interesting people, both young and old, who share your enjoyment of the open road the freedoms it offers. The Bucketts Way was another good stretch of road before I joined the Pacific Highway heading south towards Sydney. Turning off at Brooklyn on the Hawkesbury River, I supped on oysters and contemplation at Fitzies. This stop marked the effective end of the journey being the most northerly suburb of Sydney. Reflecting on this trip, I came to the conclusion that a long trip on a motorcycle is a dream for many, one put off and never quite got to. This is understandable with work and life pressures making a trip like this seem impossible even before you consider the practicalities of living with what you can carry on the bike (much easier than it seems) and the discomfort of the elements (extreme heat, rain and cold). 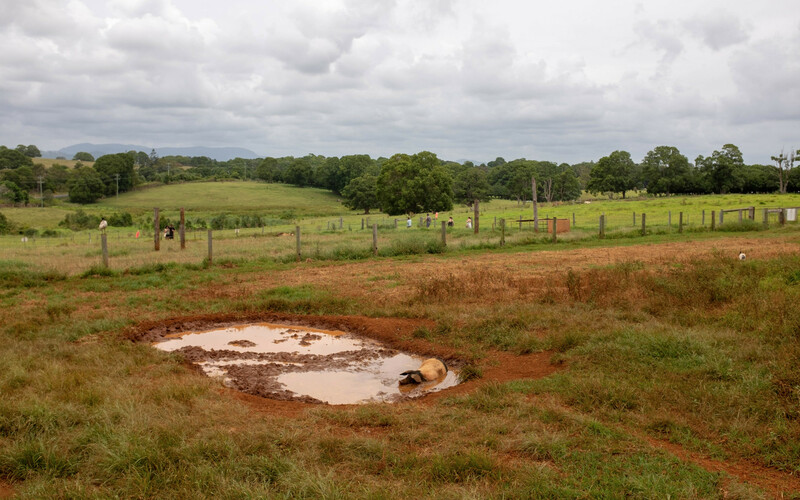 Don’t let these perceived obstacles mask the fact that the in-between conditions are pure riding pleasure and the very reason for choosing this mode of transport. I urge those of you who have been thinking of an adventure like this, not to put it off. To take or make the opportunity as it is a fulfilling experience, whether on your own or in a group. The below map outlines the 1,096-kilometre route taken from Ballina to Sydney. 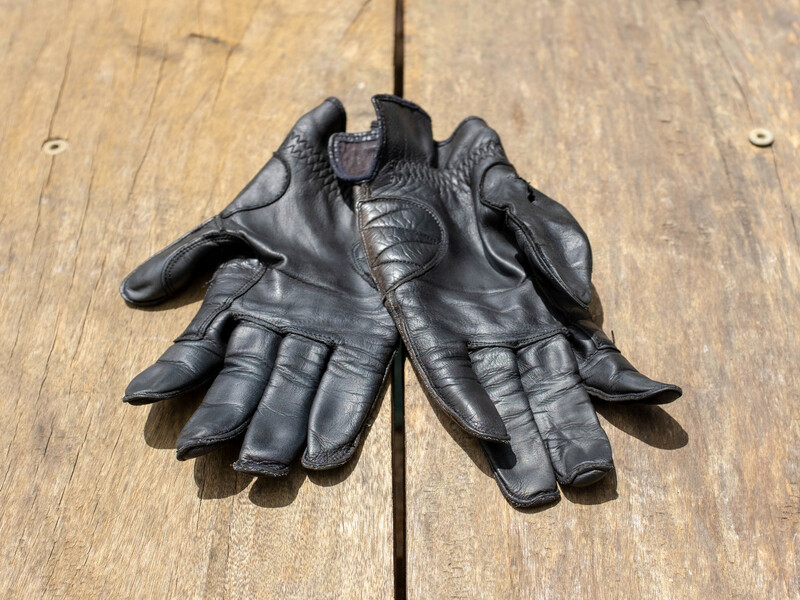 These Harrold’s Gear unlined leather gloves wore out on this trip after twelve years of service. Unlined leather gloves are the preferred choice of most riders as they work in most weather conditions, keeping the sun off your hands, providing grip on the handlebars and protection in case of a fall. These Harrold’s Gear gloves were terrific and have been replaced by a similar pair, now manufactured under the Deus ex Machina brand.